There are 10 minerals from Africa. 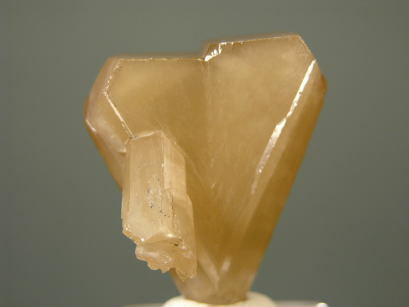 A lustrous,well defined tan colored Cerussite V twinned crystal with a smaller crystal attached at the base. In excellent condition, with very minor imperfections at the edges. Textbook crystal and exceptional example of this type of twinning. 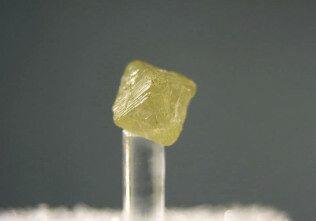 A textbook bipyramidal diamond octahedron with a pleasing yellow color, great luster and textbook form. Choice! 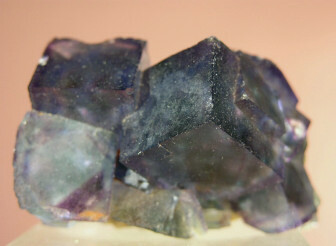 Dark green, very sharp cubes of fluorite with excellent purple zones and some dark blue running through it. The reaction to light by these pieces make a good photograph very diffcult. There are some contact points on the bottom and the rear. 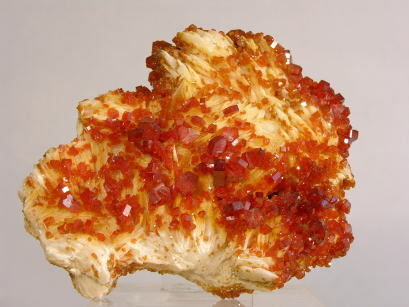 The main crystals are all in great shape and the piece displays very well. 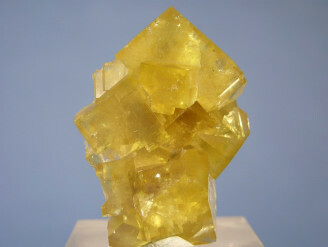 Deep yellow, gemmy and lustrous, intergrown cubes of fluorite. A fabulous specimen from this locality which rarely produces this type of quality! 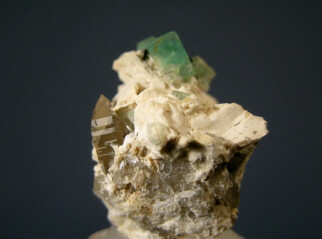 A sharp green cube of fluorite associated with a small smoky quartz. Both are included by schorl. You are all familiar with the yellow mimetites from the famous “gem pocket”. 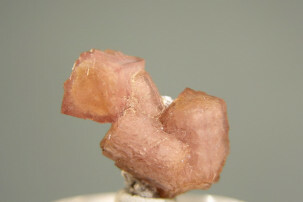 This specimen has three primary gemmy crystals that are terminated and undamaged. The hollow sections are natural. 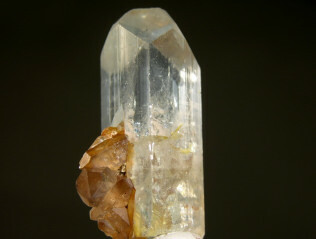 One crystal is damaged at the rear and is buried into the main crystal. There is also some slight beaverite present. Rarer than hair on a toad! Four intergrown, very sharp, light tan crystals of olmiite to 1 cm on a bit of matrix. 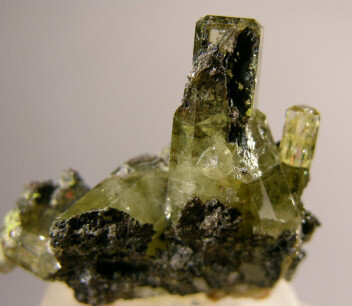 ExcellentTN of this rare (and newly described) manganese analog of poldervaartite found early this decade and now properly recognized as olmiite. 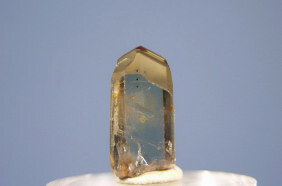 A gem quality very pale blue terminated topaz crystal associated with iron stained quartz crystals and a smaller topaz. Two things of note. These are sometimes called silver topaz…and it is rare to find them with associations or on matrix. Choice crystal!